and Legal Videography Services Nationwide. Kentuckiana Court Reporters has provided court reporting and legal video deposition services to Cincinnati, Ohio for over 30 years. Our Cincinnati court reporters and videographers are locals who are from Cincinnati and the surrounding area. We provide real-time court reporting, daily transcripts, secure electronic delivery and storage, videography and trial presentation services. 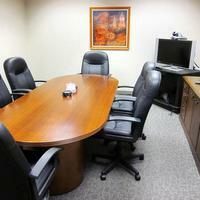 Our Cincinnati court reporters’ office offers video conferencing. We are also available for arbitrations, mediations, conferences, hearings, EUO’s and all your stenographic needs. Conference rooms are available upon request. Give us a call for your next Cincinnati video conference or to schedule your next Cincinnati court reporter. Our comfortable Cincinnati conference room. 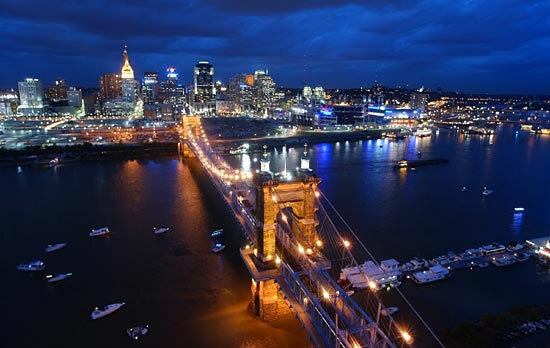 If you are a visitor to Cincinnati, please browse our recommended attractions and hotels listed below. You can also call our staff directly for hotel and restaurant recommendations. Spend a day exploring the animal kingdom in Cincinnati’s 70-acre zoo, home to 700 animal species and 3,000 types of plants. Wander through the rain forest in Jungle Trails for glimpses of endangered baboons and exotic plants from Asia and Africa. Pay your respects to Indonesia’s giant native, the Komodo dragon, the world’s largest and most dangerous reptile and a special gift from the president of Indonesia. Or visit the lush Florida swamplands in Manatee Springs for a look at the endangered animals once mistaken for mermaids. Hours: 9 a.m. to 6 p.m. Sunday – Friday, Memorial Day through Labor Day, with exceptions. Open until 8 p.m. on Saturdays; Call for off-season hours. Admission: Non-member admission is: Adults, $12.95; seniors ages 62 and over, $10.95; children ages 2 to 12, $7.95. Admission is free for members. Group discounts available. Ohio’s largest waterpark features more than 40 waterslides and attractions on 35 acres near Kings Island. The Beach boasts the Midwest’s only watercoaster, Aztec Adventure, a 500-foot long flume that sends riders up, around and down a 30-foot drop into a pool guarded by Cobras. Palme trees, white sand, reggae bands, a wave pool and waterfalls are other features. If you can wait until later in the day, admission drops to $9.99 after 5 p.m. AAA members can get discounted tickets through local AAA branches. Hours: May 21 and 22, 10 a.m. to 6 p.m.; May 27 through June 10, 10 a.m. to 7 p.m.; June 11 through Aug. 21, 10 a.m. to 9 p.m.; Aug. 22 through Sept. 5, 10 a.m. to 7 p.m.; Sept. 10 and 11, 10 a.m. to 6 p.m. Closed July 23. Admission: General admission $26.99, $10.99 for children(5-9) and seniors. Season passes: Children and seniors, $29; general admission, $92; family of four, $230. Group discounts available. The newest addition to Cincinnati’s riverfront, the National Underground Railroad Freedom Center offers lessons and reflections on the struggle for freedom. Using exhibits, programs and interactive experience, the museum aims to promote collaborative learning, dialogue and action to inspire today’s freedom movements. Hours: 11 a.m. to 5 p.m. Tuesday through Sunday. Closed Mondays, Thanksgiving and Christmas Day. Admission: $12 for adults; $10 for students and seniors ages 60 and up; $8 for children ages 6 to 12. Journey around the world and explore the Red Sea, sample the Amazon and stop by an active Ohio Riverbank at the Newport Aquarium. The aquarium features more than 65 exhibits and 13 galleries, including the Jellyfish Gallery, the Kingdom of Penguins, Coral Reef and Surrounded by Sharks. Each exhibit is themed to make tours enchanting and exciting. Go eye-to-eye with piranhas, poison dart frogs, sharks, penguins, stingrays and more than 500 other species. The aquarium’s newest addition, Hidden Treasures of the Rainforest Islands, features an Indonesian rainforest, complete with waterfalls, native plants, replicas of ancient ruins and many different animals. Hours: Open daily, 10 a.m. to 6 p.m.; Summer Hours: May 27 through Sept. 5, open daily, 9 a.m. to 7 p.m. (open Saturdays until 9 p.m. beginning June 4); Closing at 6 p.m. May 28 and July 16; Closing at 4 p.m. on Sept. 4. Ticket sales end 90 minutes prior to closing time to allow ample visitation time. Admission: Adults $17.95, Children ages 3-12 $10.95 and Seniors(65+) $15.95. Children 2 and under admitted free. Soar higher and faster, scream louder, stand in line longer and have more fun than you thought possible for a 15 second-ride. King’s Island offers world record thrills with Face-Off, the Midwest’s only 5G face-to-face inverted roller coaster; DROP ZONE, the world’s tallest gyro drop at 315 feet; Tomb Raider, a “next generation thrill ride;” Delirium, a ring of seats that catapults riders 137 feet into the air; and The Beast, the world’s longest wooden roller coaster. Add 300 other rides and attractions, a 30-acre water park, dozens of shows, concerts, shops, restaurants and activities for children, and you’ve discovered one of Cincinnati’s most popular attractions. To beat the heat in the summer, head over to the water park, which is free with park admission, and cool off in the wave pool or take The Plunge down the 70-foot water slide. While you’re at the park, don’t miss the view from the Eiffel Tower, a scaled down version of the Paris Landmark, and keep an eye out for your favorite characters from Nickelodeon and Paramount movies. Hours: 10 a.m.-11 p.m. Friday, 10 a.m.-10 p.m. Saturday, 10 a.m.-9 p.m. Sunday, 10 a.m.-7 p.m. Monday-May 26; thereafter, closing times vary through the season, with nine days with a midnight closing in July and August. New this year: The park’s fireworks display will always be at 10 p.m. (on days the park is open until 10 p.m. or later) to accommodate families with children. Admission: $44.99 general admission (includes “Pay Once, Visit Twice” option: good for second day’s admission – for the same person – any time during the 2005 regular season); $26.99 children (under 48 inches) senior citizens (age 60 and older) and military discount (with identification); $29.99 after 5 p.m. General admission tickets are $34.99 on PKI’s Web site and at Blockbuster locations (does not include “Pay Once, Visit Twice” option). Parking: $9; preferred parking $15. Ten minutes from downtown, Turfway Park offers year-round pulse-pounding horse racing action. Renamed Turfway Park in 1986, the track opened in 1959 as Latonia Race Course. Turfway is the successor to Old Latonia, which operated from 1883 to 1939 about 10 miles north of the present site. Patrons can enjoy a gourmet meal in the Clubhouse or visit the Paddock to watch the horses parade before placing their bets. Turfway Park features the $500,000 Lane’s End Stakes and the $350,000 Kentucky Cup Classic Handicap. Hours: Schedules vary. Check the park’s Web site or call for information. Admission: Call for special event pricing. 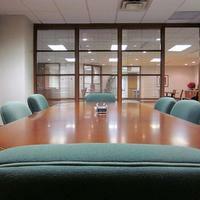 151 W 5th St, Cincinnati, OH – (513) 579-1234 – 10 minute walk to Kentuckiana Reporters. 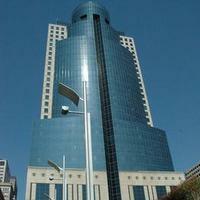 Hyatt Regency Cincinnati This well-appointed 488-room hotel is a solid choice for business or leisure travelers. Centralized production and distribution. Your transcript is centrally produced and archived in our secure repository by our offices so that you always get the same assurance of quality, familiar format and guaranteed 7-day turnaround. All document production is done “in-house.” We do not rely on any other company to produce our documents. Maintaining control of the documents allows us to ensure that the final product is in keeping with our high standards. Convenient access to repository. ALL transcripts are formatted and produced in our offices and stored in our secure repository permanently and indefinitely. No need to search for the delivery or location of transcripts. Legal staff has access to our secure repository 24 hours a day. Fair and familiar invoicing: we generate all invoices, extend reduced rates when available and stand behind you as a client wherever your discovery needs take you. To complement our approach to cost savings, Kentuckiana Reporters has formed strategic alliances with other reputable legal service providers. Kentuckiana can procure these services at a fraction of the cost you would if you were to contact them directly. We also know that your Accounts Payable department can get inundated with invoices from multiple vendors. In addition to the “hard cost” savings, you will also save additional “soft costs” by reducing the number of invoices to process. It is estimated that an additional 10%-20% savings can be realized by streamlining the accounts payable function.